Order 5 items of the same catalog number and we offer 5% discount on each. Order 10 items of the same catalog number and we offer a 10% discount on each. Stock Up and SAVE with bulk discount structures from Cedarlane and Anaspec. For a limited time only you can save up to 10% on all Anaspec products when you are buying more than one at a time. This sale applies to the entire Anaspec catalogue offering so be sure to take a good look and find what products will help your research! 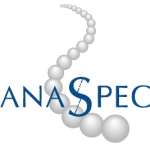 Bulk discounting applies to all Anaspec products, however, they must be of the same catalogue number to qualify.